I’m such a book worm and I love sharing books and authors that I think you might love. There are just so many great books to read this Fall and I’m all about the mom books this season! My Amazon shopping cart has been getting a workout! Here are some of my favorite books right now that will help you grow, will challenge you, and will encourage you on your faith journey. 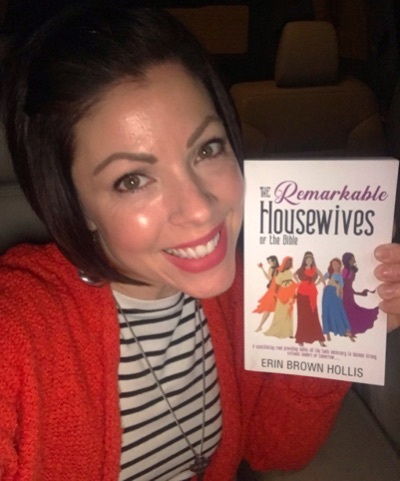 My sweet friend Erin just released this Bible study and it is so much fun! It is written as a Girl’s Night companion full of the same drama and intrigue as today’s reality TV, but it is also packed with great spiritual truth. If you’re looking for truth and fun in a book that is easy to read and hard to put down, this one is for you! Bekah Pogue is one of my dearest and most treasured friends. I’m going to use this book and the new journal as my May Book Club Community Books because they are just so rich! Both books act an an invitation to notice, respond, and celebrate how God shows up in every detail of our lives even when they aren’t going as planned. The journal is available for pre-order now, so grab your copy so that you are ready for May! I am co leading a study on this book at my church for a Spring Bible Study and it is rocking my world. Really exploring who Jesus says that He is and how that applies to my life has been pivotal in growing my relationship with Him even further. This study is easy to do, but also deep and challenging. If you are looking for a study that really connects you to Jesus, this is it.